The 10L90 and 10L80 10 Speed Automatic Transmissions are on restriction through GM PQC as part of our ongoing quality improvement efforts to assist Engineering with product concern identification effective on 07/20/18. Your cooperation with this program is greatly appreciated. If diagnosis has led to replacement of the transmission assembly please contact the Product Quality Center (PQC) @ 866-654-7654 to discuss the information/diagnostics that led to the replacement of the transmission assembly. Note: (Do Not clear any DTCs prior to contacting the PQC). Components that may be removed and serviced without exchange are identified by an “X” in the appropriate column of the table below. Any repairs involving transmission components not identified in the table below will require a transmission replacement. Please complete the questionnaire below before calling the PQC. Has the vehicle been modified with non-production accessories? If commercial, what type of use? Why is replacement of the requested component needed? Does the vehicle have any DTCs in any module (ECM/TCM/BCM, etc.)? (Note: Do Not clear any DTCs prior to reviewing with engineering). Are there any transmission-related DTCs? Are there any shifting issues (late, early, missed, no shift)? When does the issue occur (hot, cold, under accel/decel)? Is there any unwanted vibration? Any other transmission performance issues? What is the frequency of noise? Note: After installation of the transmission the solenoid valves must be characterized. Failure to perform this procedure may result in customer shift concerns. Refer to Solenoid Valve Characterization Reprogramming for directions. 05/04/2017- Updated to Change from Part Restriction to Part Exchange Program. 6/30/2017 – Update to add model year and additional part number. 8/31/2017 – Updated to add models, transmission and part numbers. 10/16/2017 – Update to add the 2018 Chevrolet Tahoe RST model. 04/10/2018 – Update to add notes to not clear any DTCs. 07/18/2018 – Update to add models, model years and to change back to a Part Restriction. 08/20/2018 – Update to add Silverado and Sierra models and part number 24282946. 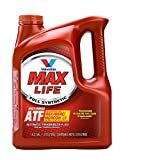 Valvoline has conducted extensive in-house testing, independent lab testing, and field-testing to support MaxLife Multi-Vehicle ATF performance in the broadest range of transmissions; however, it should be noted that MaxLife Multi-Vehicle ATF is not an OEM licensed product. 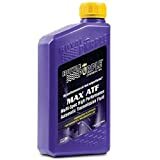 The respective vehicle manufacturers have neither evaluated nor endorsed MaxLife Multi-Vehicle ATF in these applications. 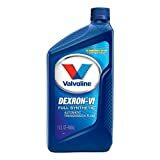 If an OEM licensed product is preferred we recommend Valvoline DEXRON VI, Valvoline ATF+4 and Valvoline MERCONV for the corresponding applications. 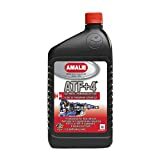 Compatible with FORD XL-12 Case Fluid, BMW LT 71141, Allison TES 295, TES 389, MERCON V, Dexron VI, JEEP ATF+3, ATF+4, KIA SP-III/IV, Mazda ATF MIII / MV, Nissan Matic D/J/K/S/W - see complete spec pictures of spec sheet. 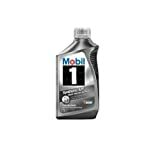 - FORD XL-12 Transfer Case Fluid - This product replaces Ford OEM Transfer Case fluid as well. LIFETIME fill - does not require changing unless manufacturer (OEM) specifies a particular drain interval.